Hello everybody! 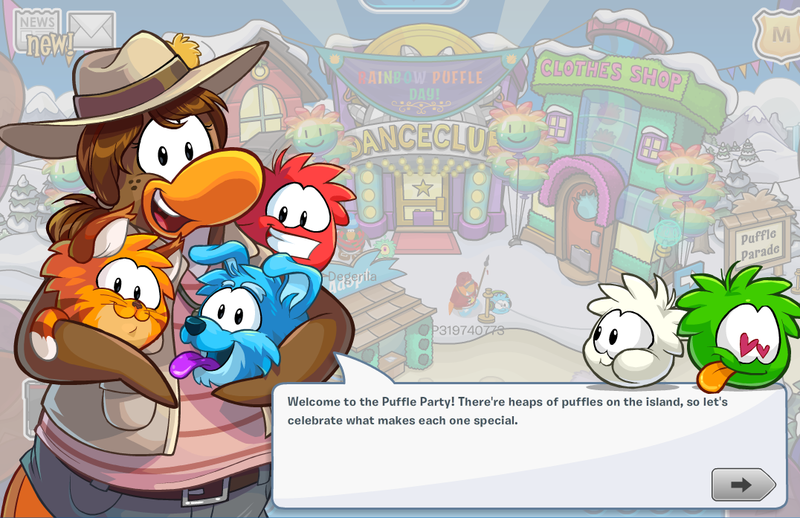 I hope you're ready for the BIGGEST and BEST Puffle Party yet. On Wednesday, Club Penguin updated, and out came the Puffle Party 2016! The 2016 Puffle Party on Club Penguin is epic. It features the most puffles to date! Forty-one to be exact. Isn't that great? At this party, you can adopt AND transform into any puffle you want. Are you ready for three weeks of puffle? I sure am! So, without any further ado, let's jump into the Club Penguin Puffle Party Cheats Guide 2016. The concept of the party is pretty simple. You must play hide-and-seek to find a puffle. 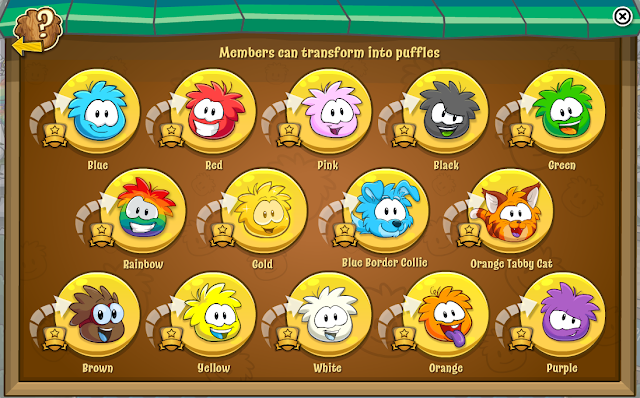 Once you find it, if you're a non-member you can pick up a pin, and if you're a member you can get some sweet puffle-related clothing items that correspond with the puffle that you found! 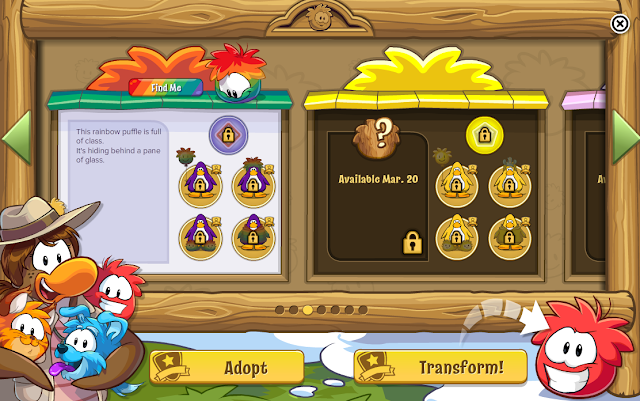 Once you log in, Puffle Handler (PH) will pop up and introduce you. Side note: PH is visiting this month! View her meet-up times here. 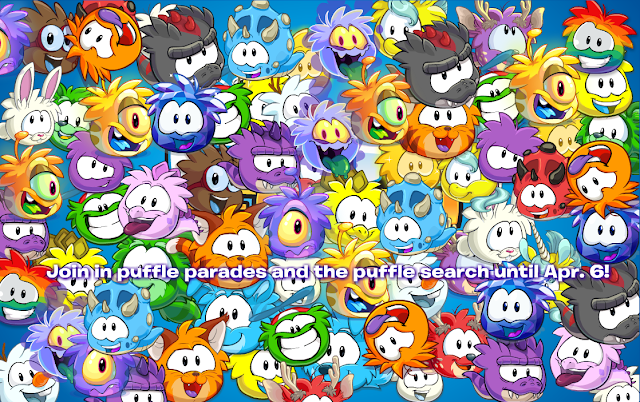 Welcome to the Puffle Party! There's heaps of puffles on the island, so let's celebrate what makes each one special. There will be hide and seek challenges for every color of puffle. Click this icon to see the party schedule. 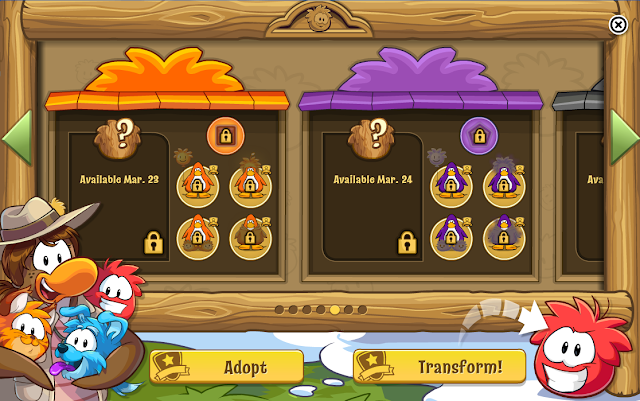 The party interface basically lets you know which puffle can be found on which day, with helpful hints and facts about the particular puffle. 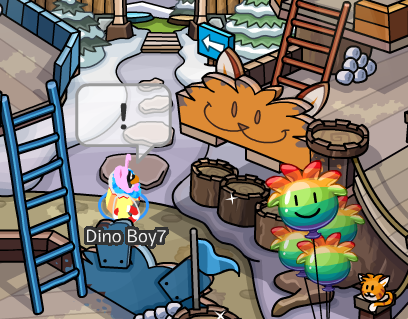 For example, the red dino puffle is hiding low down, and has three horns. To find this puffle, I headed to the room and looked out for the glistening effect. If you see something glistening in the room, click it to uncover the puffle. This is a very helpful tip! 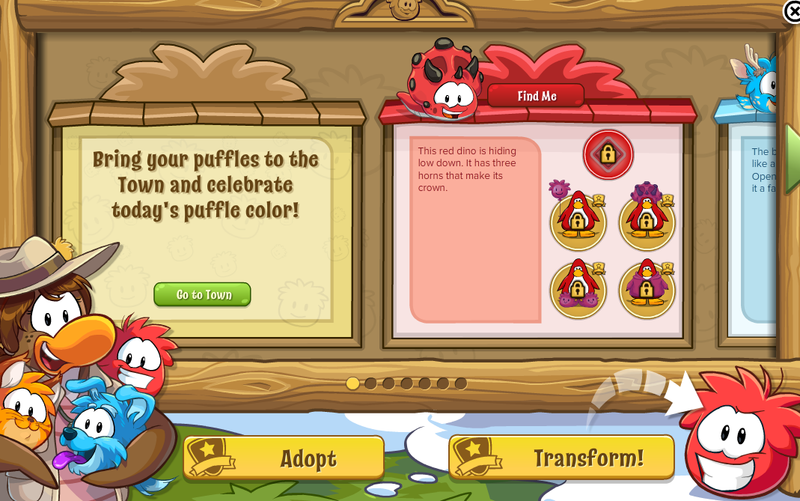 Once the aforementioned puffle has been found, PH will pop up again and award you with your items. How kind! Ace! 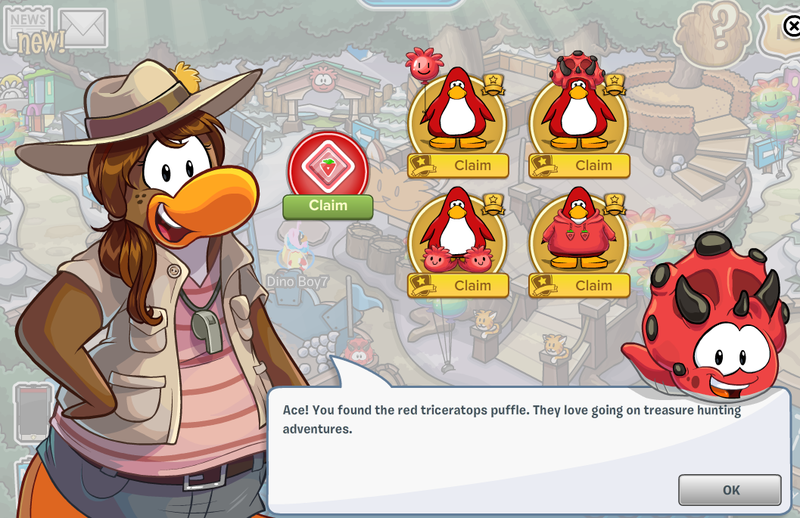 You found the red triceratops puffle. They love going on treasure hunting adventures! As I said earlier, the interface tells you the schedule for the party. Here you can get a preview of the items you can collect on a given date. Good luck! 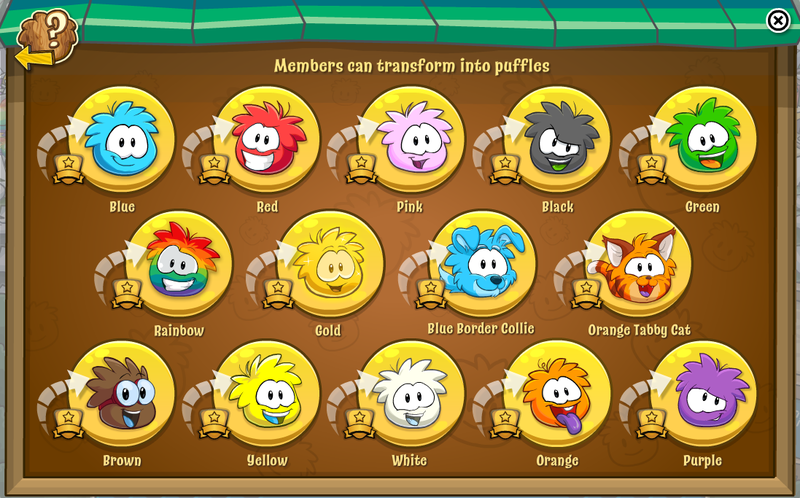 Members, feeling puffle-y? Is that a verb? 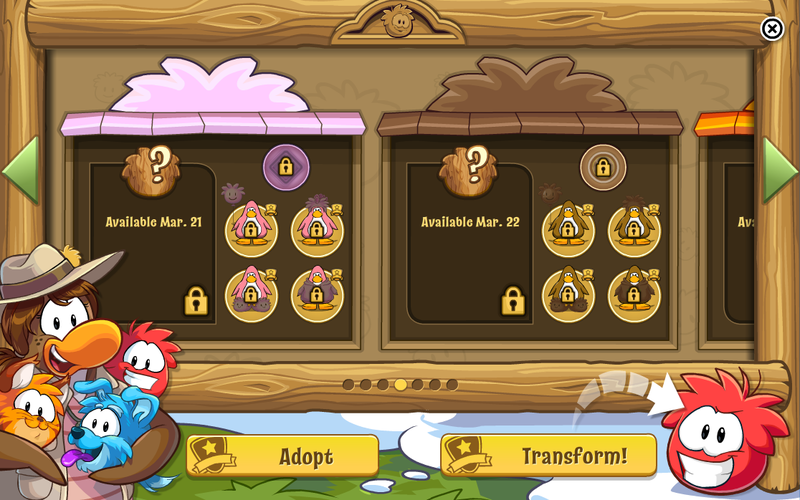 If you are, you can transform into a puffle of your choice! If you would like to adopt a puffle, you can choose from the interface for the special ones, and for the regular puffles: head to the Pet Shop. 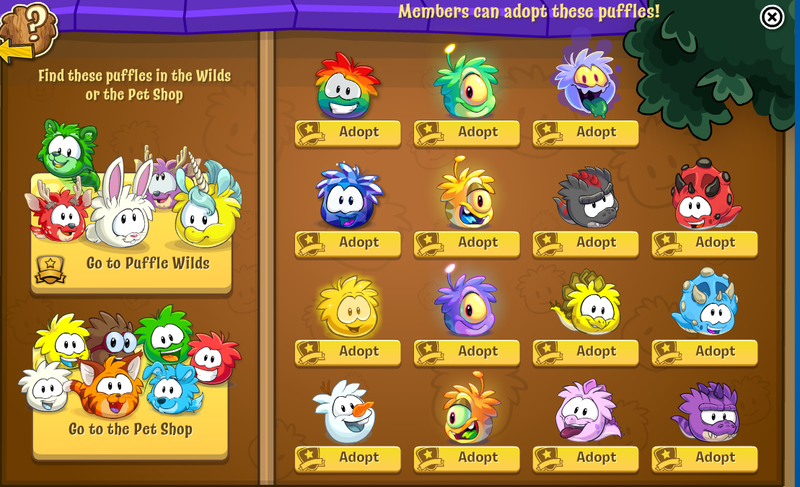 If you're looking for a wild puffle like a tabby cat or raccoon, head to the Puffle Wilds! And of course, the emoticons. There are three wicked emoticons for you to use at the party. The O'berry, orange kitten and black dubstep puffle. I hope you all enjoy this party. Keep updated for more tips and tricks as the party progresses.